*SWEETHEART* There are certain people who come into your life, and leave a mark. Their place in your heart is tender; a bruise of longing, a pulse of unfinished business. Just hearing their names pushes and pulls at you in a hundred ways, and when you try to define those hundred ways, describe them even to yourself, words are useless. 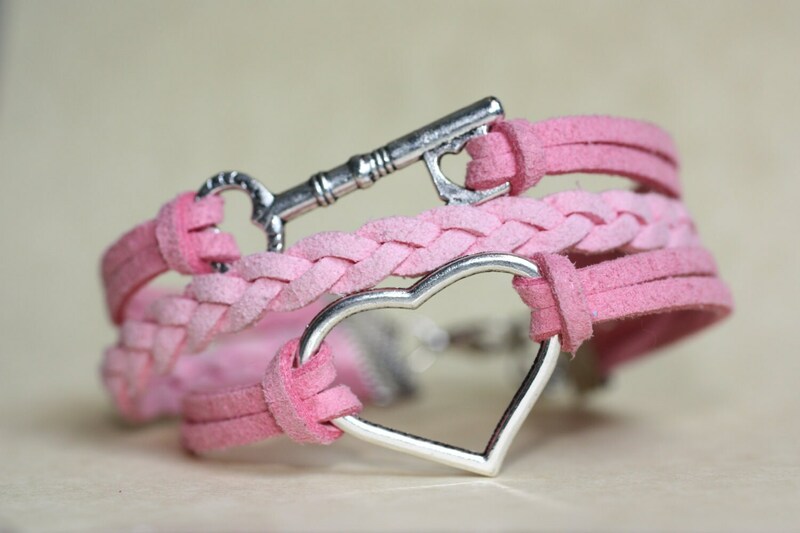 The Sweetheart Bracelet includes 3 bracelets that are fastened together by two Silver clamps. It includes a lobster claw clasp and back chain, making it fully adjustable to fit any wrist size.